Wave Break Island is an awesome place to spend your day. The water is clean and swimming is a popular pastime in this location. It is our personal favourite place to go, partly due to the shelter provided by the island, and partly due to being only around 30 minutes traveling time from Runaway Bay. When moored at Wave Break Island it is hard to believe this magical place is so very close to everything. Our beautiful sunny days here on Queensland’s magnificent Wave Break Island will be remembered for years to come. After spending some time in this location you will understand why it is so popular with the local boaties. From Runaway Bay you can head north to Paradise Point or south to Wave Break Island or Surfers Paradise, but must remain in the western channel. 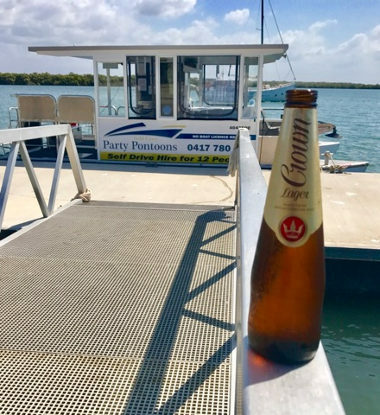 You might consider a trip up the Coomera River, but please ask about how to negotiate the channel at the top end of the Sovereign Islands as it is a little tricky to work out from looking at the chart. If you decide to head south to Surfers Paradise, you’ll pass the ’Marina Precinct’ at Main Beach and enter the Nerang River at Paradise Waters, where you’ll see some of Queensland’s finest homes. This area is quite close to Cavil Ave, the main downtown tourist area of Surfers Paradise. 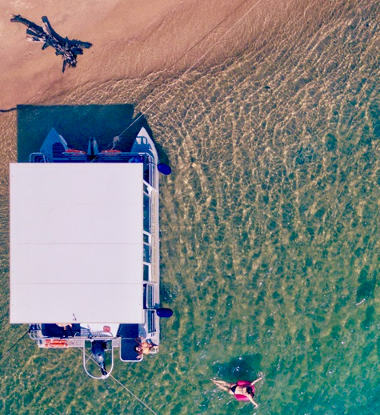 We truly have a lot of choice of where to go from Sanctuary Cove to Wave Break Island to Paradise Waters. 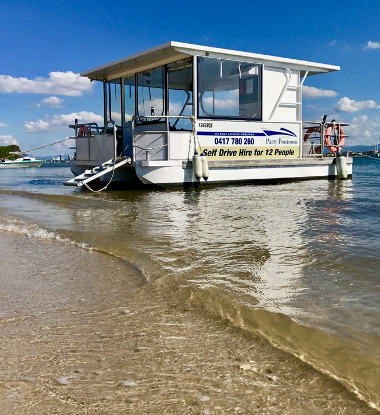 Please chat to us about what you want from your day on the Gold Coast Waterways.